Equipped with the rucksack Work & Traveller 75 + 10 by Outdoorer, backpacker Stephanie and her sister spent seven weeks travelling in Australia. 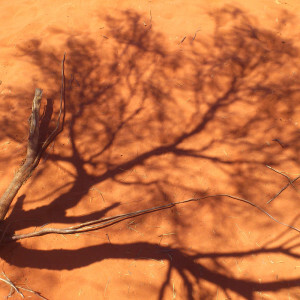 Read an excerpt of their report on their experience of the fascinating red continent at the „other end of the world“. 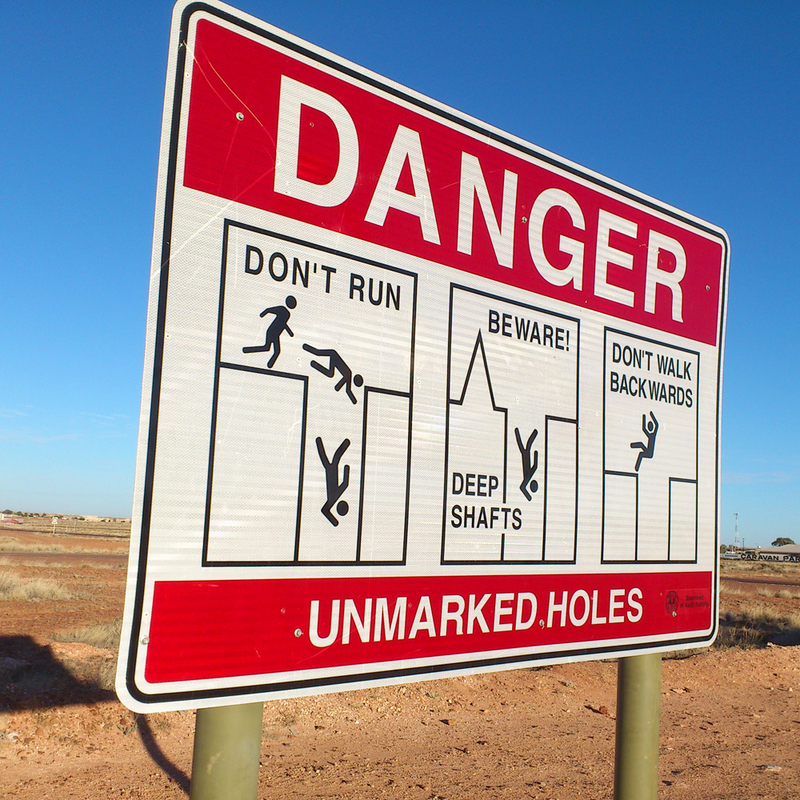 There’s a lot to discover „down under“ – are you with us? Sweaty heat, dead straight highway, hot asphalt, flickering mirages, red soil, pristine wilderness, white salt lakes, endless landscapes, sparkling starry skies, absolute silence and complete freedom. No humans for miles around, but quite a lot of nature. And kangaroos. And emus. The barking of dingoes. Poisonous animals. Many annoying flies. That’s where we want to go! I think there are few ways to travel which have the same or even similar intensity to a road trip, spending long hours together „on the road“ in the confined space of a car. You give your wheels a name and thank him for each section completed without a breakdown. There’s a lot of time to talk, but also plenty of time to think. The passing scenery can be tiring, but at the same time it is also an experience and you can see so much so that all the senses are sharpened. At any time, you can choose between stopping, turning or just going straight on. We are free and flexible and can go wherever the fancy takes us. 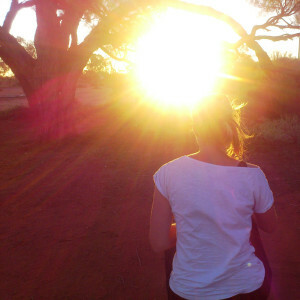 “Now I’m gonna tell my momma, that I’m a traveller, I’m gonna follow the sun. 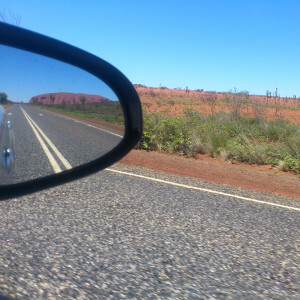 With a 20-litre jerry can, which we replenish with drinking water at every possible opportunity and plenty of food, we get our rental car on the way to the Red Centre or specifically to „Uluru-Kata Tjuta National Park“. The last stop in civilization is Port Augusta. That is the start of the well maintained tarmac „Stuart Highway“, which we now follow northward. A look in the rear view mirror… the houses are getting smaller and we have definitively left the urban world behind us. 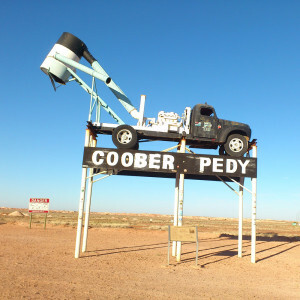 We stop at each roadhouse, refuel, check the oil level, check the water cooler and continue. The scenery is passing by us; it’s not monotonous, the way people often think, but orange, red, yellow and beige earth, sometimes treeless, sometimes with different high bushes and various plants. 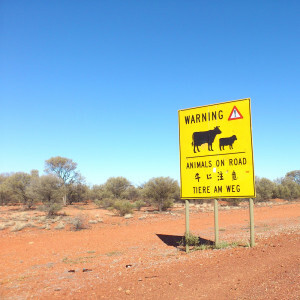 Dead kangaroos and other animals are in different stages of decay by the roadside. There is also rubbish, wrecked cars, broken glass and many burst tire parts. The scenery changes and becomes like a moonscape. There are heaps of earth as far as the eye can see, like giant moles had dug up the ground and piled up thousands of hills. The area is riddled like a Swiss cheese. 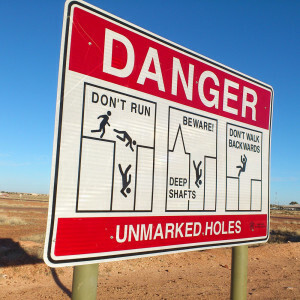 Signs warn of the danger of collapse in the abandoned mine shafts, which have not been resealed. 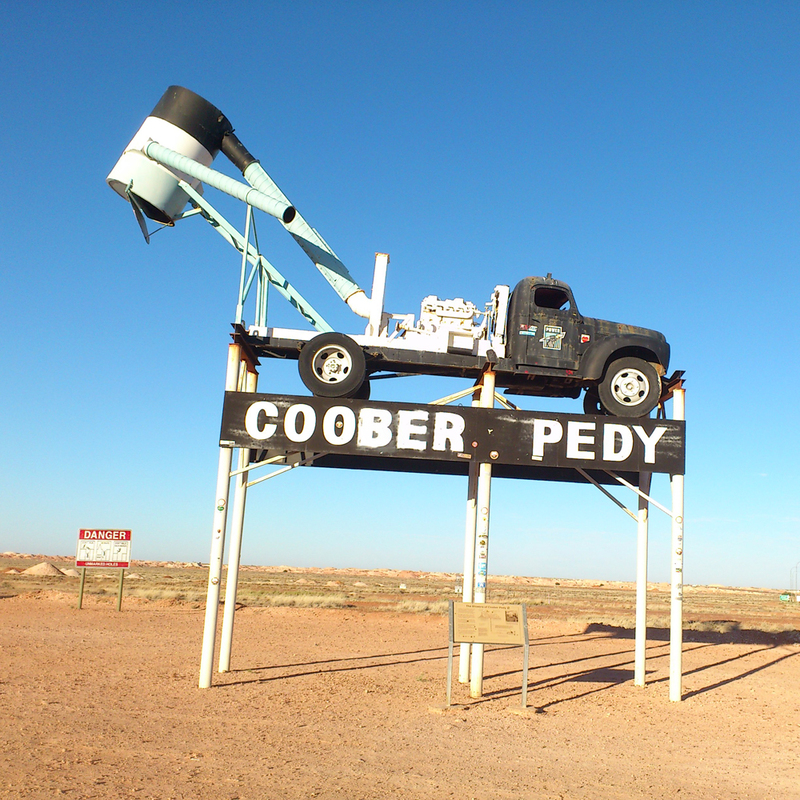 This is the place we were looking for ─ Coober Pedy, prospecting site for opals and home to numerous fortune seekers from around the world. The place name is derived from the Aboriginal word „kupa piti“, which translates as „white man in a hole“ and describes the place very well. To endure the extreme high summer temperatures of up to 50° Celsius, around 50 % of the residents have their homes built underground. We visit a located underground bookshop and underground church, a hotel, a bar and a flat, which all maintain a pleasant and constant room temperature. In the Opal Museum we learn more about the techniques of opal mining such as the three main types of opal (black, boulder, white/light opal) and the quality scale (solid, doublet, triplet). We are excited by the sparkling fire stones. We try our luck in the so-called „public noodling area“, a field with debris and remains. 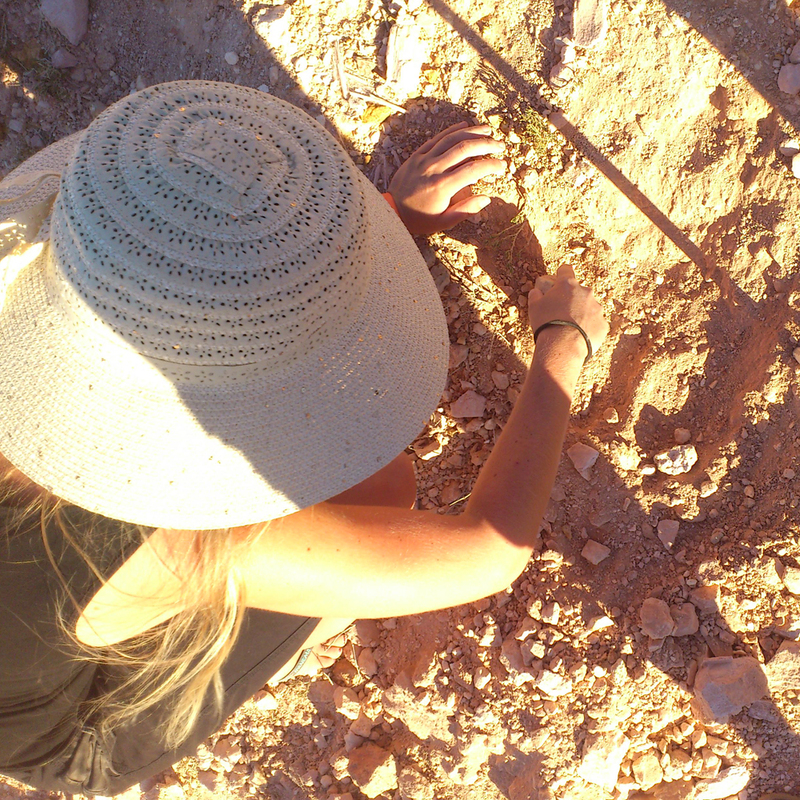 Here you are allowed to dig in the dusty earth with your bare hands (no auxiliary tool such as shovels etc. are allowed) and to look for the rainbow-coloured stones. Delighted, we cry out when we discover a tiny multi-coloured shimmer in the rubble. No monetary value, but beyond price for us. Before heading on in the direction of Yulara, we stop at the Kangaroo Orphanage in „Josephine’s Gallery“ for another visit. 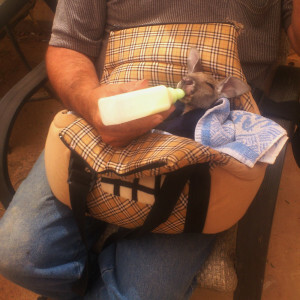 Here we can feed kangaroos and get to know a baby kangaroo named Marcus, which is nursed by his foster parents in a cloth bag. We pause at the „Mount Connor-Lookout“ to enjoy the view of this impressive mesa/flat-topped hill. 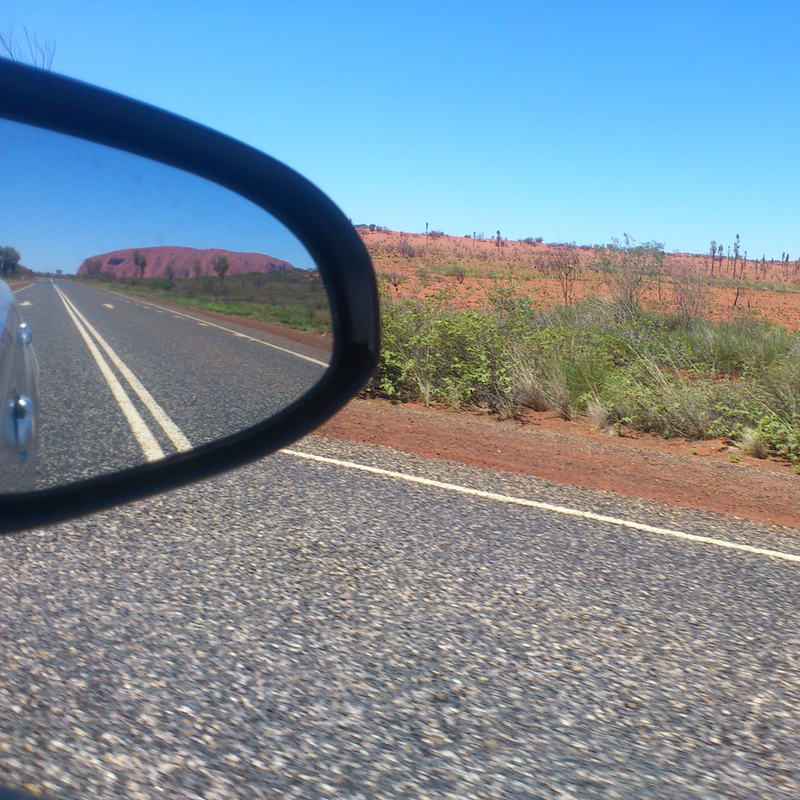 And finally… Uluru is in sight! 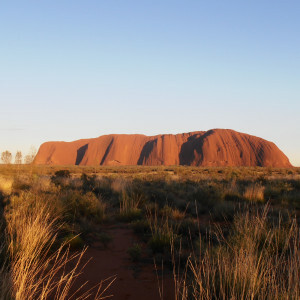 How often have we asked both Australians and other tourists the question „Ayres rock – worth seeing?“ only to get the answer „Oh, it’s just a rock.“. What? I beg your pardon? For us this is incomprehensible… it is simply amazing! 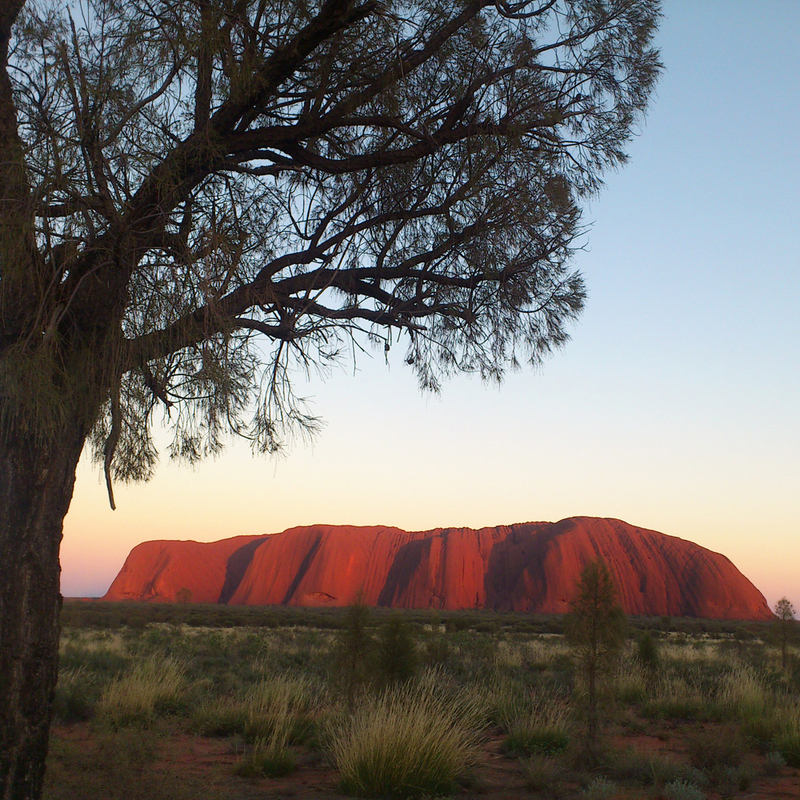 We marvelled at Uluru at both sunset and sunrise and it was simply magical and impressive. We could feel that this was a very important spiritual place for the Aborigines and fully took on the mythical atmosphere. In a walk with a ranger we listened to Dreamtime stories and learned a lot about the life of the local indigenous people and the way they live in harmony with nature. The „Cultural Centre“ houses a great exhibition with panels, exhibits and an informative film about the Aborigines and the return of Uluru to its rightful owners, the Anangu. We signed the „We did not climb the rock-book“ and are sad that there are so many disrespectful people who trample Aboriginal culture underfoot. After a night under a beautiful starry sky and an incredible visit to the craggy mountain range called The Olgas or Kata Tjuta (= „many heads“) and the impressive Kings Canyon, we set out on our way back to Adelaide, both very satisfied and also wistful. We have absolutely no regrets about making such a long trip. 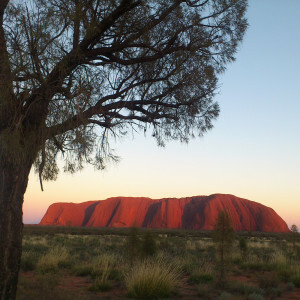 Only those who have been to the Outback, which is to say the Red Centre and specifically Uluru have encountered the real Australia.